Hello! 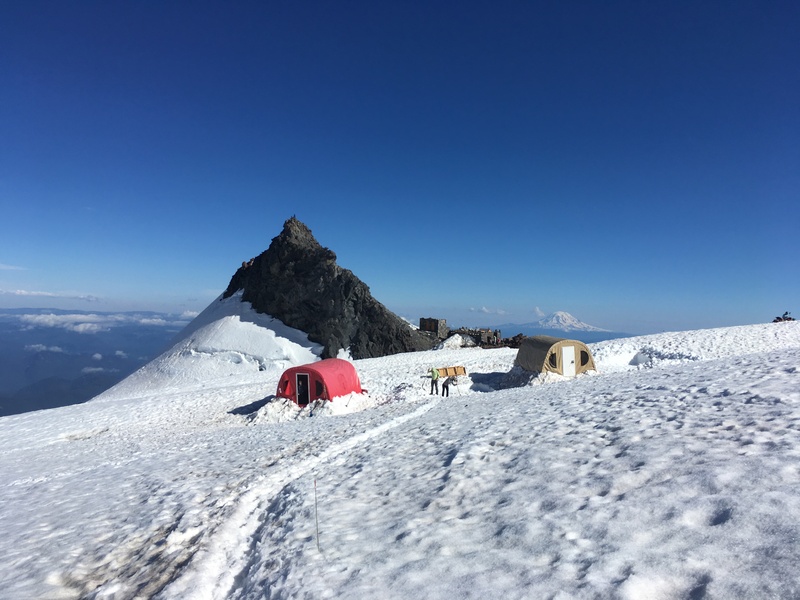 Our team climbing Rainier via the Disappointment Clever Route made it too Basecamp in good style today. After spending the first hour in the clouds we popped out to a spectacular scene: Mount Rainier in all its glory! The team is now relaxing and about to enjoy a great chicken burrito dinner. We will check in again after we attempt the summit tomorrow night. Pictured below is our guide staff hard at work digging a new platform for our cool tent. Denali Team #8 Moving to High Camp!